How to get rid of An ingrown toenail overnight? Have you noticed soreness while wearing your favorite shoes lately? Do you dread that nightly walk with the dog due to foot pain? Is one of your toes puffy or swollen? Today is the day to take a closer look at your feet. Our feet work hard all day long, bringing us from place to place, yet they seldom get the attention and care that they need. Our feet may be the most neglected parts of our bodies which explain the host of problems we end up having with our toes. If you see redness near one of your toenails, the pain you are experiencing may be from an ingrown toenail. This could mean that the nail is growing into the sensitive skin on your toe. In this how to get rid of an ingrown toenail overnight article, we will be talking about ingrown toenail symptoms, causes, how to prevent an ingrown toenail, treatment and even surgery which might be needed in rear cases. The area could be swollen and painful to the touch. A little piece of a nail on your foot is causing all of the pain that you are experiencing! The big toe is most often the one to be the victim. Ingrown toenails are a prevalent condition, especially in adults and teens. Additionally, young men seem to suffer the most from this affliction. Ingrown toenails are only rarely seen in children. Symptoms include redness, tenderness, and inflammation of the toenail area. In more severe cases, additional signs may consist of skin feeling warm to the touch, pus or drainage, and extra skin growing around the nail. Most ingrown toenails can be safely treated at home. That painful walking can be over soon. In severe cases, go and see a doctor. The answer may be how you are cutting your toenails. 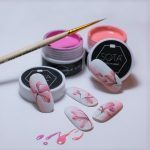 While you can get creative with your fingernails, it is best for the health of your feet to cut each toenail straight across. Do not try to create a curved nail. Some people may forget to keep up with their toenail trimming. Overlong toenails can cause these issues as well, so make it a weekly habit. This is the same situation with nails that are too short. Clip each to the end of the toe. If you always cut your nails in a straight line but are still experiencing pain, let’s dig deeper to find other causes. There are several less obvious actions that can contribute to ingrown toenail pain. Have you stubbed your toe lately? Did you drop a plate on your foot when you unloaded the dishwasher last week? I did not realize that a simple bump to the foot can cause problems with my toenails, but it can. An injury to this area could result in an ingrown nail. We also need to consider those stylish shoes of yours. They look amazing, but if they hurt, they do not fit correctly. If your toes are bunched up inside that classy shoe, it’s time to go shopping for a new pair. So, the causes for ingrown toenails can be a simple as how the nails are cut, an injury, or poor-fitting shoes. Luckily, these are all easy to fix! Other causes are a bit trickier to handle. Athletes are highly likely to experience ingrown toenails. Sweaty feet can make the skin and toenails softer, and therefore more prone to this affliction. The movements that many athletes make while kicking, running, and quickly stopping can put them at higher risk for a lot of injuries including ingrown toenails. We don’t want you to give up your place on the team! We have included easy treatment ideas for you. 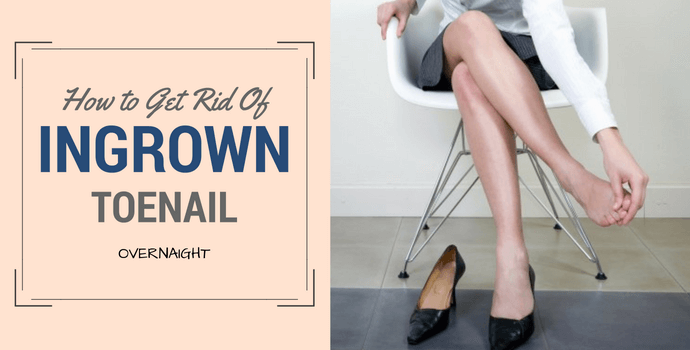 How to prevent an ingrown toenail? There are many ways we can prevent this painful ailment. First, if you have diabetes, it is imperative that you check your feet often, even daily. Diabetes causes many symptoms and issues, and foot concerns are one of the big ones. These patients need to look for any type of sores or bruises as well as ingrown toenails. Another way to prevent ingrown toenails is to wear shoes that fit correctly. It is not enough to try them on. Instead, walk around the store in them. Flex and point your feet while wearing the new pair. If there is any discomfort, move on! You don’t want to spend money on something that will cause problems and pain later on. You don’t need to sacrifice style, but you do need to work hard on a great fit. If you work in an environment where foot injuries are common, you may need to invest in protective shoes or boots. Construction workers and mechanics immediately spring to my mind as potential. Most work boots are steel-toed, which adds a tough layer of protection for your sensitive digits. However, be sure to try these on as well. Again, move with the shoes on and see how they feel. Athletes aren’t the only ones who have sweaty feet. If you notice that yours perspire often or heavily, take time to dry them. Allow your feet to be free from shoes and socks each day. Check in with your teenager and remind them to do the same. Teens sweat more than adults and can start taking care of their toes to prevent future discomfort. The most natural prevention for ingrown toenails is basic foot care. Make sure you keep your toenails trimmed and don’t let them get too long or too short. Dry your feet when they are wet with sweat and check your feet often for any changes. Athletes should follow these steps and spend extra time researching and investing in proper footwear for their sport. Too often we forget that each and every part of our body needs loving care, including those tired tootsies of ours. Ingrown toenails cause pain and suffering for many people each year. Ads for costly products abound as you search Google for treatment ideas. If you want to know how to get rid of an ingrown toenail overnight, The good news is that you can usually cure your ingrown toenails right at home with a few simple, inexpensive remedies. Fill a basin or bucket with warm water and add Epsom salts, apple cider vinegar or castile soap for a soothing treat. Soak your feet for 15-20 minutes. While it isn’t vital to add these concoctions to the water, it could encourage you to do it regularly. Aim to do this twice to four times a day to ease the swelling. Be sure to dry them thoroughly afterward. Even if this doesn’t cure your ingrown toenails, soaking your feet relaxes and rejuvenates them. Another home remedy to try involves cotton balls. Check out the affected area carefully. Is there enough room to tuck a tiny bit of cotton between the nail and the skin? If so, this simple trick may provide you with some relief until those nails finally grow out and away from the flesh. 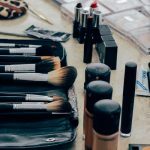 Have you tried all of these to no avail? Are you still in pain, even after attempting to get rid of your ingrown toenail with these helpful remedies? If you notice a great deal of warmth, an unusual odor, pus, redness spreading over your foot, or tremendous pain, then it is time to consult a doctor. When you see a doctor for an ingrown toenail, they will check for infection. If there is an infection, this can be treated with an oral antibiotic, as is the case with many other causes. The doctor may choose to use a splint to help keep the skin away from the nail. The splint is close to our cotton ball idea that we mentioned but made from other materials such as resin or plastic. Numbing agents are injected if they cut or file the infected nail area. The doctors can even trim the extra skin. How to fix a nail split? In fewer cases, surgery may also be discussed. Very few patients need surgery for an ingrown toenail, especially if you keep a close watch on any sore spots. In these unusual situations, the entire nail or part of the nail may be removed. An X-ray is utilized to ensure the foot bones are not damaged. Anesthesia is required for some procedures, which leads to extra tasks at home care after the surgery. You need to spend time elevating the foot and the doctor may send you home with a special cream to apply to the wound or recommend a brand for you to purchase. 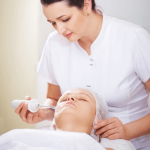 As with any surgical procedure, it is imperative to keep the area clean and bandaged. This is not common, and most people will never have to worry about going under the knife for a nail concern. 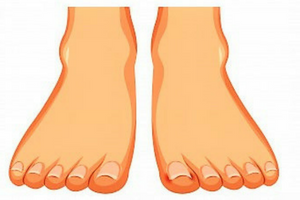 Let’s start keeping an eye on our toes and feet to prevent and treat any ingrown toenails. I hope you Liked our How to Get Rid of An Ingrown Toenail Overnight article useful.